We redesigned our apps to bring you more of the desktop experience to mobile! We launched our mobile app a little over two years ago and with more and more of you checking out our deals and forums on your mobile devices, we felt it was time to update our app. Some of the functionalities used to be a bit hidden and many of you might not even have known about them, so with this newly redesigned and improved app we bring more features front and center. Our community is what powers Slickdeals, and we knew many of the frequently used community tools were lacking in our mobile app, so incorporating more of the desktop user experience in the app was a big priority for us. 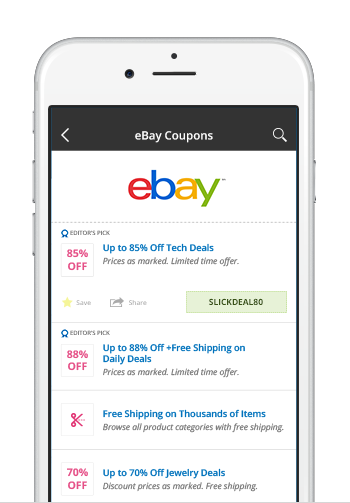 "Slickdeals is an amazing community that started in desktop forums and is increasingly moving to mobile," said Jeffrey Storey, Director of Mobile Product at Slickdeals. "I'm excited about the chance to give those users a fantastic community experience with all the things they have always loved and relied upon in the regular site." Some of the new functionalities that are coming to the mobile app include the ability to edit a post, give reputation and send private messages. All things we know you've been asking for! Part of improving the app was actually soliciting feedback from our users by giving some of them early access to test it out. "They know exactly what they want and need; our job is to listen to them and then to prioritize the things they want," Storey said. "Of course we can't build it all into one release, but we are 100% transparent with our users, letting them know when we're doing what, and why. I think they appreciate that." We also wanted to make it easier to navigate within the app, so we got rid of the old navigation menu and implemented something that's similar to what you see in other apps. 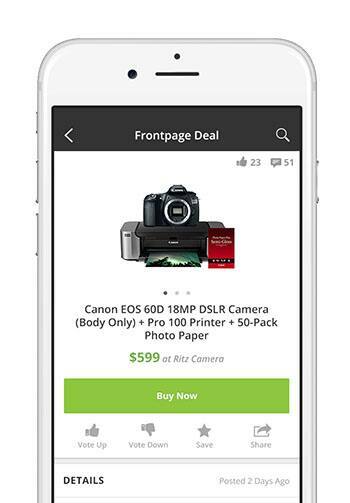 For example, when you open the app you can toggle between Frontpage deals, Popular deals and Local deals on the first screen instead of having to open up the app menu each time. Once you get to a deal page you'll see bigger images and buttons that make it easier to vote and click through to the merchant site where you can buy the item. You'll quickly be able to see how many votes and comments a deal has, how much the item costs and key details about the deal. If coupons is your game, you'll like the new look. It easier to see the coupon details and you no longer have to click through to a new page to see the coupon code. 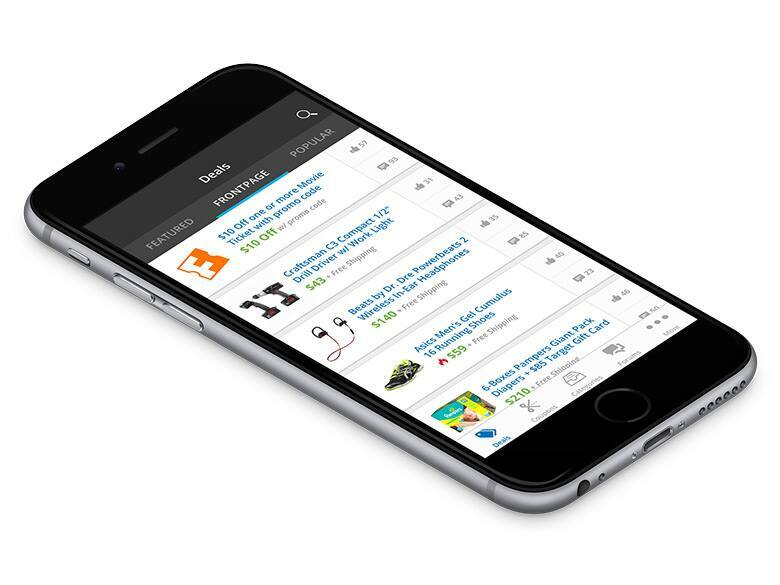 The redesign of the Slickdeals app has been a big project for us, but a lot of the changes happened "under the hood" and focused on making the app faster and more reliable. We will continue to improve on all the features in the app, but hopefully you'll enjoy the new look and feel as much as we do. By making the the app a bit more modern we're hoping new users will have an easier time using it as well. "We're working on improving our onboarding," Storey said. " I want it to be simple and easy to understand what Slickdeals is and how it works. We'll do this with tool tips and other ways of messaging new users so they are comfortable with our product and welcomed into our amazing community." We'd love to hear how you're liking the new app after you try it out, so download or update the new iOS app and let us know what you think. "I'm excited about making our apps the best out there not only for getting great deals, but for having fun and feeling good while doing it," Storey said. 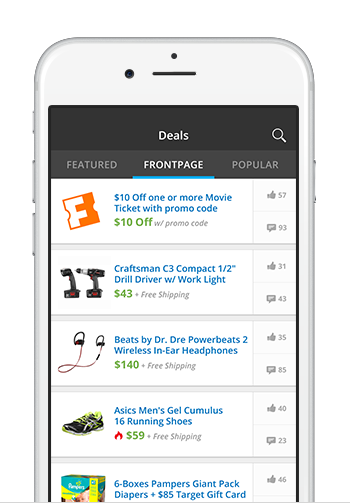 Download the Slickdeals iOS app here! Download the Slickdeals Android app here!